The 2012 Yamaha Xenter sports a modern design language which is combined with proper ergonomics and a pretty agile engine. Needless to say that its dimensions were carefully calculated to help you deal easy with congested traffic situations without affecting the overall comfort. Talking about comfort, the Yamaha Xenter 125 features a sculpted seat and ergonomically designed handlebars and footrests. Moreover, the twin tube frame allows a smooth, almost flat front panel, so a handbag or case can be hung from the hook. You also get a generous under-seat storage and a big glove box. 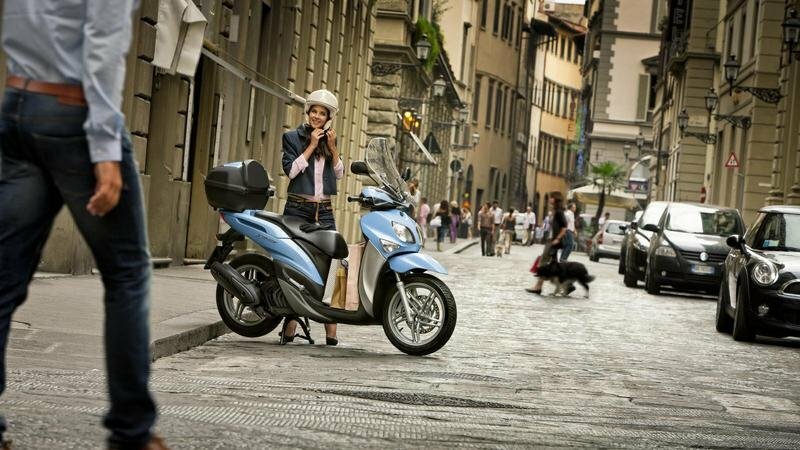 At the heart of the scooter, you’ll find a throaty 125cc engine that lets you accelerate past busy inner-city traffic. The stylish anti-vibration technology allows a new kind of frame mount. 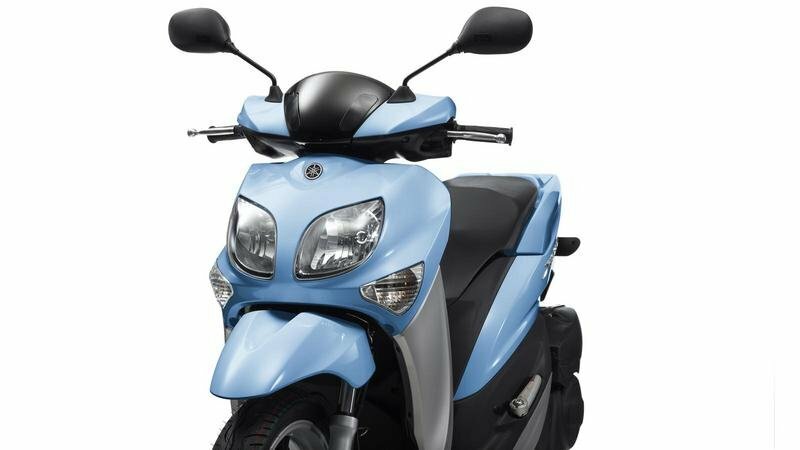 The ride is kept in check by the innovative motorcycle-style motocross suspension which helps the Xenter 125 perform like the agile and easy handling scooter is supposed to be. Hit the jump for more information on the 2012 Yamaha Xenter 125. With the new high-wheel Xenter 125, getting round town is a pleasure. 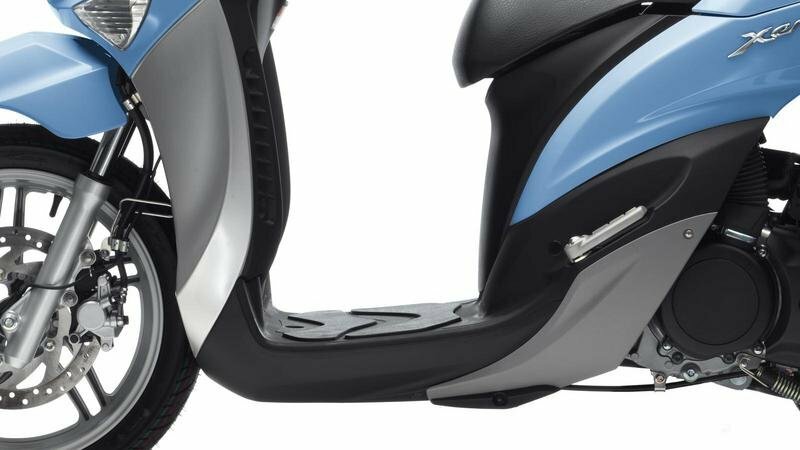 Every aspect of this scooter has been designed to make your commute more rapid and more comfortable. 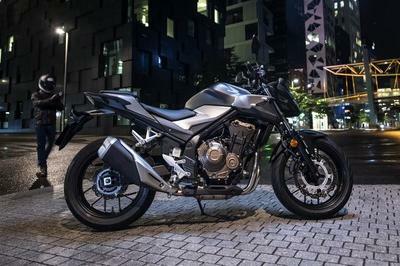 A punchy 125cc engine lets you accelerate past busy inner-city traffic. This is combined with agile, easy handling, delivered by an innovative new engine-mounting system and motorcycle-style monocross suspension. Everything about the Xenter 125 is easy - from the ultra-spacious flat footboard and easy-to-push design, to the confident, stable braking provided by the Unified Braking System. Completed by a sleek, modern design, and economical fuel consumption, it’s an accessible yet powerful way through town. Smooth, rapid progress through the busy streets of your town, in total comfort. It’s what the Xenter 125 is designed for. An engine with sophisticated anti-vibration technology allows a new kind of frame mount. 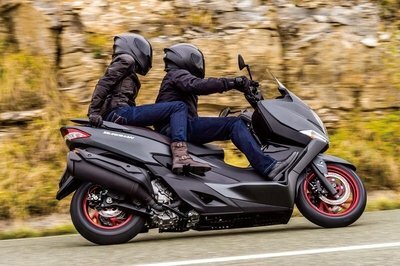 Combined with the monocross suspension used on Yamaha’s TMAX, this delivers an exceptionally smooth ride over bumpy, cobbled roads, or when riding in tandem. 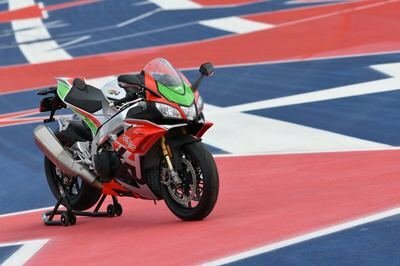 This set-up also produces an agile, responsive handling sensation, more like a bike than a scooter. Added convenience comes via a spacious flat footboard, easy-to-wheel design, and integrated rear carrier. 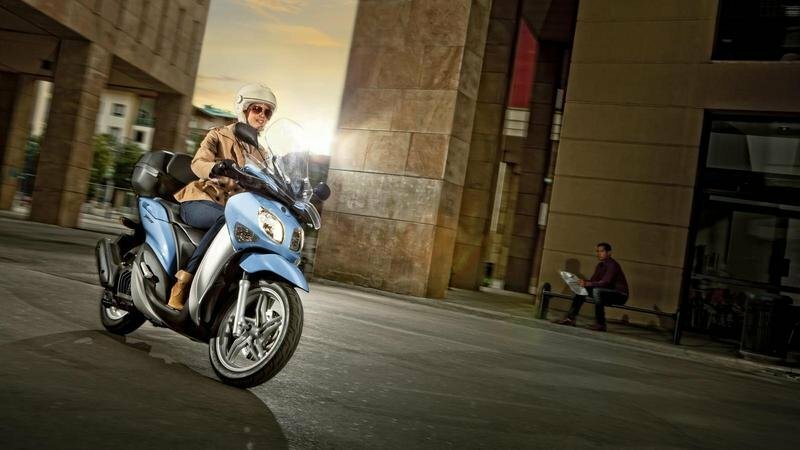 One ride and you’ll see how the Xenter 125 makes urban life easier. The comfort and stability of the Xenter 125 come courtesy of its high-wheel design, with front and rear 16-inch wheels. 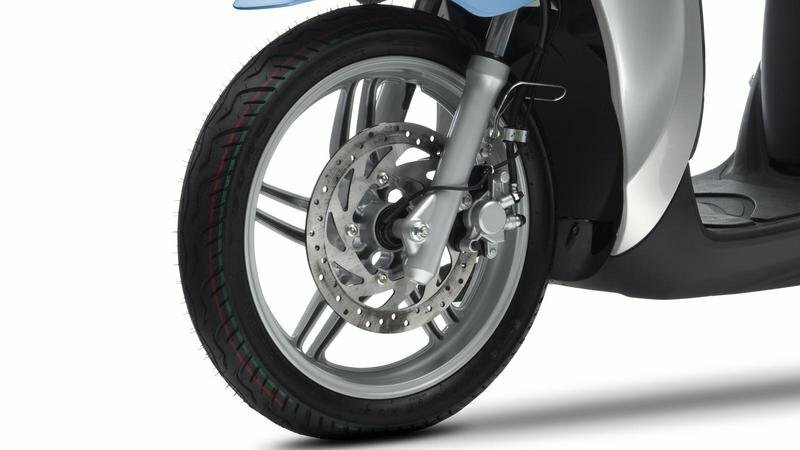 These are fitted with new, custom-designed tyres for outstanding grip and abrasion resistance. A 5-spoke wheel design emphasizes a look of lightness. Designed to combine beauty and practicality in one unit, the Xenter has a smooth, modern appearance, with soft, rhythmic curves. The addition of twin headlights adds a distinctive Yamaha touch. The tail light uses LED technology – producing a brighter, tougher and longer-lasting light than a traditional lamp. 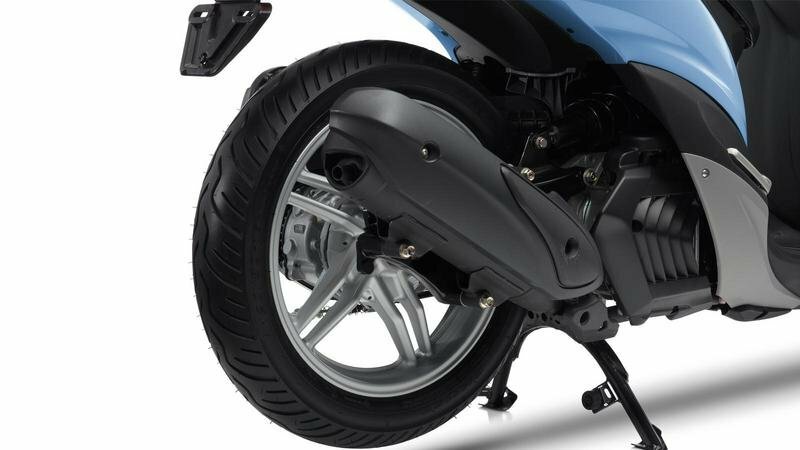 The Xenter 125 has a rear monocross type suspension, as used in Yamaha’s TMAX. This centralizes mass for a more balanced, confident ride, and allows for a more compact chassis design. 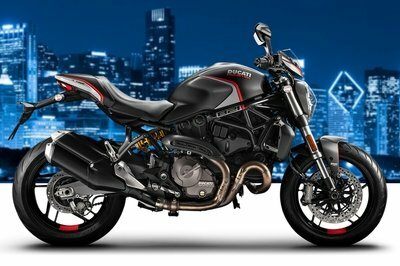 This produces a comfortable ride even on the bumpiest city streets with lively, agile performance. And all this is complemented by a front fork suspension. 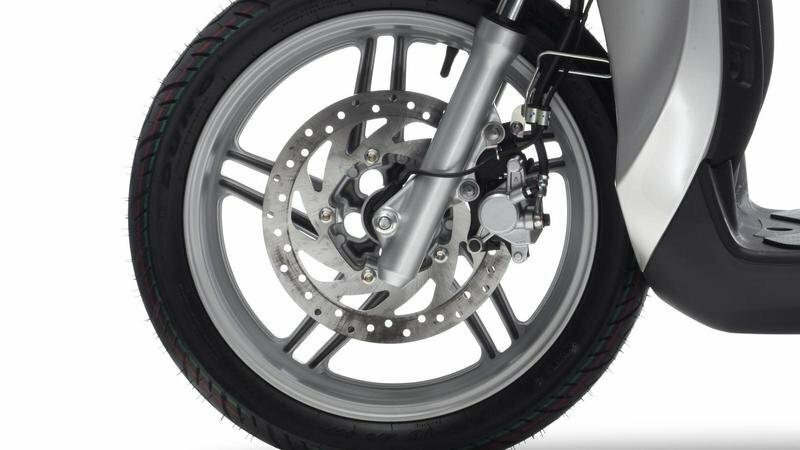 The Xenter 125’s high, stable wheels are brought to a controlled stop by a large 267mm front disc brake and 150mm rear drum brake. 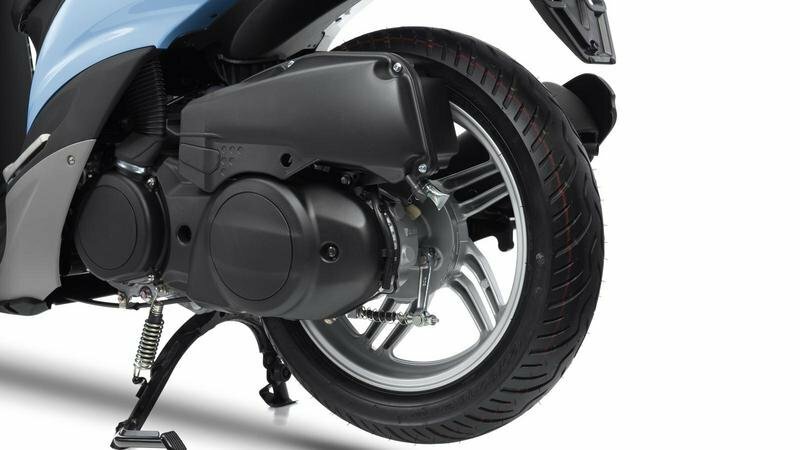 Furthermore, the Xenter 125 is equipped with Yamaha’s Unified Brake System, which balances out the unequal pressure to front and back wheels, for strong and confident stopping in any situation. 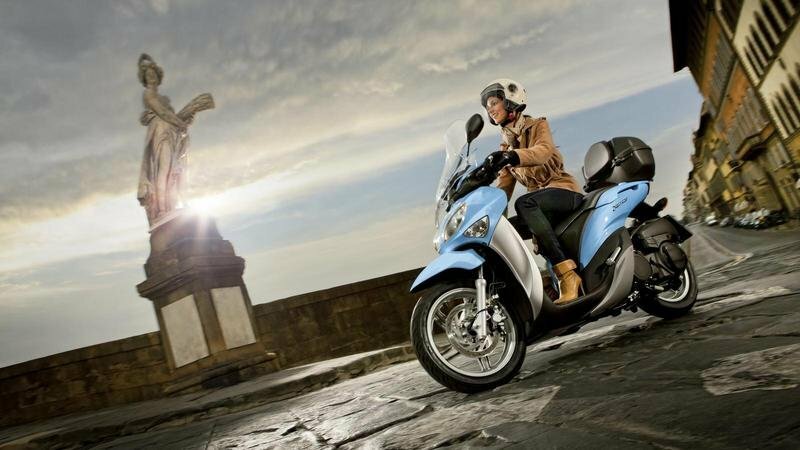 The modern, refined 125cc engine offers the rapid acceleration you need to escape urban traffic. Fuel injection means smooth driveability at any speed, reliable starting, excellent performance in all weather, and efficient, cleaner running. An innovative single-shaft balancer reduces engine vibration, for a smooth, comfortable ride. For a comfortable, relaxed ride, the Xenter 125 has a spacious footboard. A rider-centric design makes it easy to access and manoeuver, and the center stand can be used with ease. The twin tube frame allows a smooth, almost flat front panel, so a handbag or case can be hung from the hook. Underseat storage and a glove box offer space for essentials. The handlebar area houses a sleek, modern-looking LCD dashboard. Its easy-to-use display gives crucial rider information at a glance, including clock and air-temperature functions. 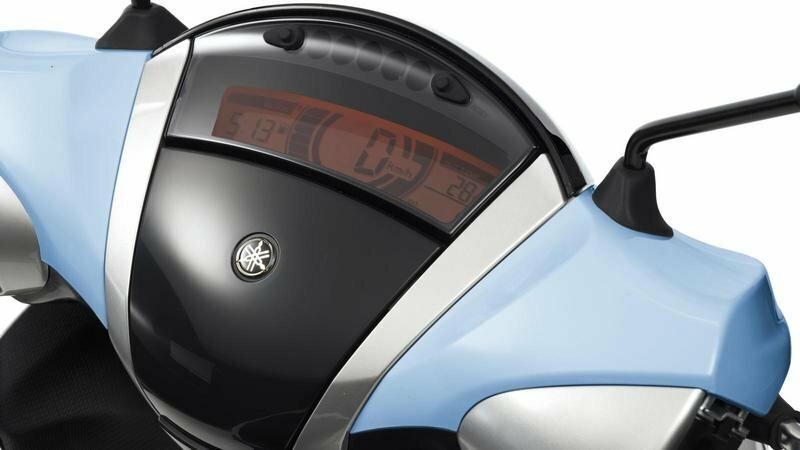 This panel also conceals the glove box, which is placed at the center of the handlebars and can be opened at a single touch. 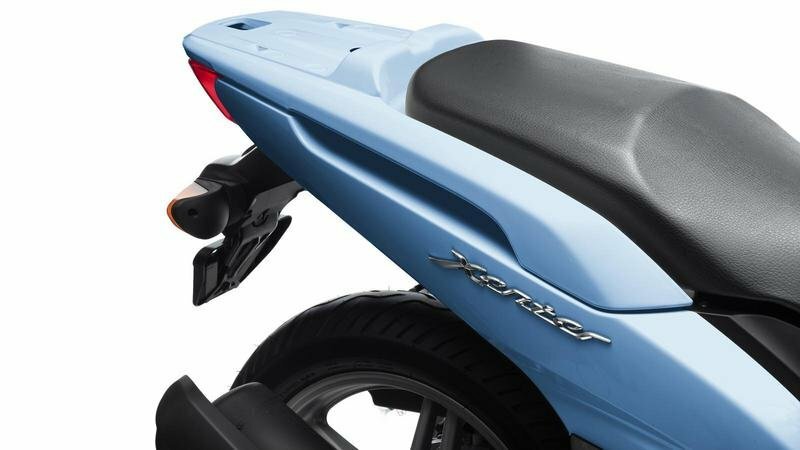 The Xenter 125 is equipped with an integral rear luggage carrier. This gives you the option to easily bring some extra luggage, or install the colour-coordinated top case with one-click mount. With 39L capacity, this top case offers ample room for whatever you need to carry. Bikez ---- "With the new high-wheel Xenter 125, getting round town is a pleasure. Every aspect of this scooter has been designed to make your commute more rapid and more comfortable."